Last Wednesday, Apple and Nintendo announced that our favorite mustachioed plumber is headed to mobile. During Apple’s Special Event, (points for creativity) Apple CEO Tim Cook and Nintendo’s own Shigeru Miyamoto announced the brand new game exclusively for IoS (for now). Players will play through traditional 2D Mario levels collecting as many coins as possible. The players have a set amount of time, and must reach the flagpole at the end of a level. The entire game can be played with one hand (as Miyamoto demonstrates in this video), as Mario will run automatically, jumping small hurdles and certain enemies. Mario jumps and slides through the levels as players tap the screen. Super Mario Run will also feature a battle mode called Toad Rally. By playing Toad Rally, Players can challenge high scores of friends and other players worldwide. During Toad Rally, players will race a sticker Mario through the course as they collect coins and toad impressions. Toad impressions are earned by performing “daring moves”, Any toads that the player impresses will be added to the player’s own “Mushroom Kingdom”, which can be expanded and customized with coins collected in-game. Games of Toad Rally continue until time runs out. Super Mario Run will launch at a set price, allowing purchasers to play as long as they want. An official release date is still unannounced, but Super Mario Run will be available in time for the holidays this year. 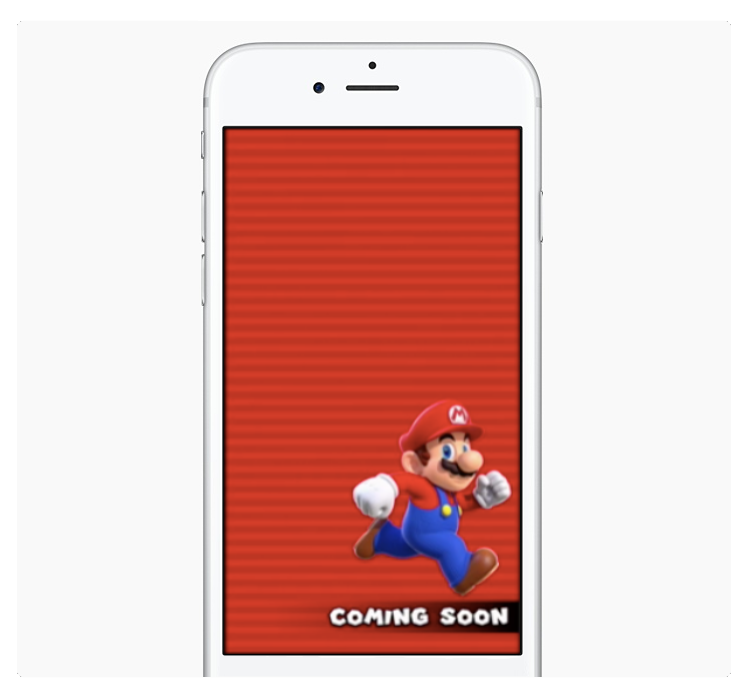 A gameplay trailer for Super Mario Run can be found here.